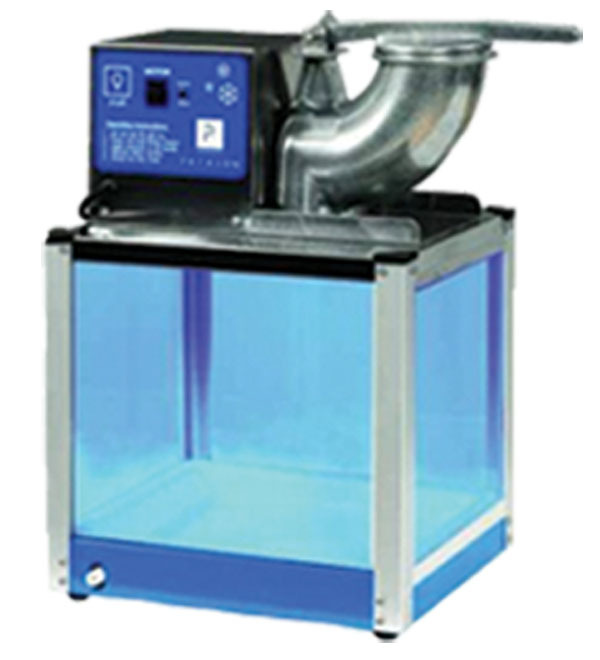 Our Snow Cone machine is built in th USA with top quality to last and last. Exclusive blue-tinted polycarbonate cabinet panels are used for great looks and extra protection from the sun. This machine is 1/3 HP motor with safety switch control.Just add ice and syrup and you're ready to go!!! Included are supplies for 50 serving (ice NOT included) and additional servings are available for $25.We have variety choice of syrups to make our customer SATISFY & ENJOY!! Looking for some easy that does not required a lot of your time?? 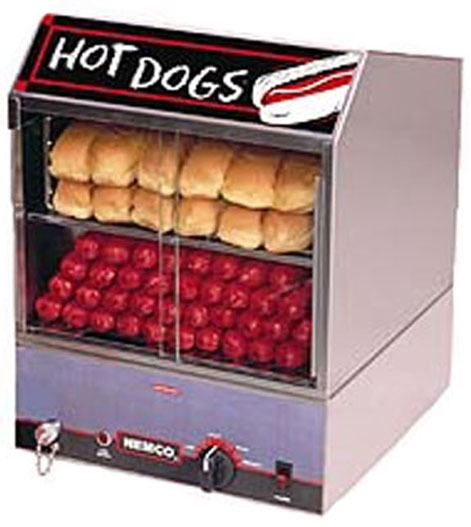 Our hot dog steamer machine is very easy to use all you have to do is put water in the water pan, the water MUST NOT over the water pan level!, turn the machine on and you all set!! The steamer's heating system cooks hot dogs in less than 25 minutes and then holds them at safe temperatures for serving customers. 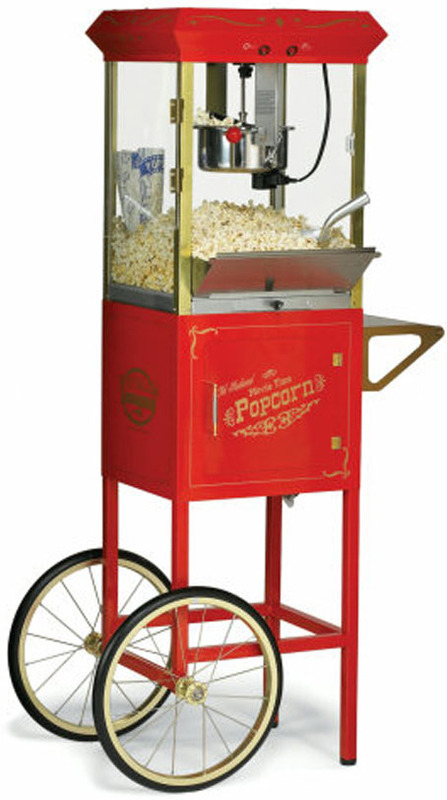 Enjoy some good fun old-fashoined carnival style with the Carnival Cotton Candy cart. 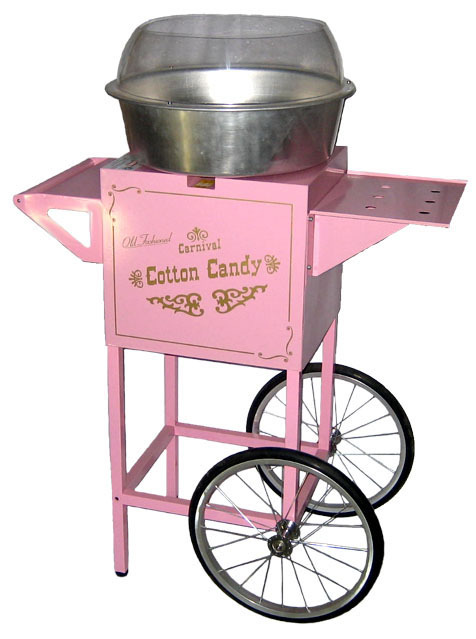 The classic pink cotton candy maker resembles the early 1900's century carnival and circus style cotton candy cart. Great for parties! !Included are supplies for 50 serving and additional servings are available for $25.We have either choice of blue or pink sugar floss per serving to make our customer SATISFY & ENJ﻿OY!! Copyright 2011 Jump Around Party Rentals. All rights reserved.